Hi girls, hope you had a good weekend. I've had a pretty busy week so far, I went home at the weekend to London for my best friends birthday and all I can say is, it was amazing! I've been back at Southampton for less than a month but it's nice to know I miss home a little already. 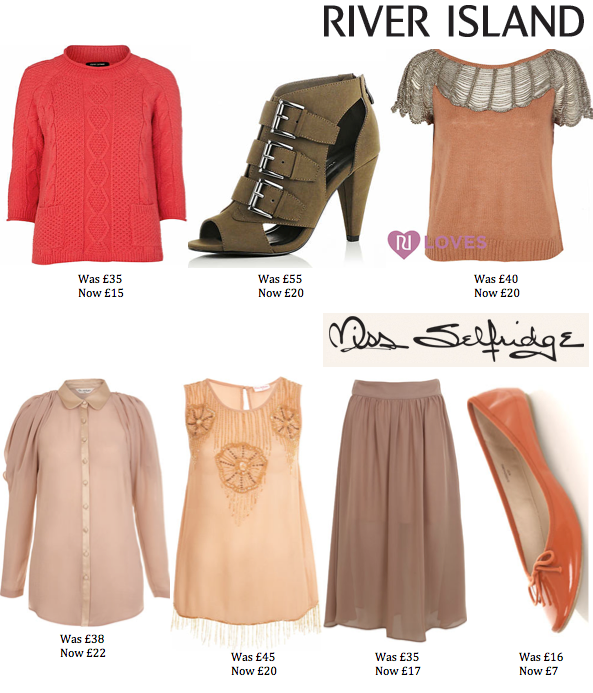 Todays post is laid out nice and simple and just shows my favourite picks from the high street. I've noticed that I may be stuck in a neutral coloured rut. I have a very strong obsession with this trend and I think the only cure would be to buy all of these amazing items. If I had to pick one thing, it would be the tassle hem top from Miss Selfridge. It's beautiful! I don't think my picks are very expensive, so this little selection would hardly do much damage if you bought a few items right? Right now I'm eating frazzles while listening to do Loca People by Sak Noel - I hear this song everywhere. It's pretty addictive. Anyway, I hope you like todays post. Tell me what your favourite picks are and what you'd like the next post to be about. love H&M s collection! Nice post and great blog! the topshop section looks amazinnnng!!! especially the leopard print dress!! Nice, I think I'm going shopping. OMG, you are so cute ! It is possible follow me ? I follow you . those cardies are too cute!